Thanks to a tip from my friend Art over at The Wandering Sheppard I recently caught up with a new food truck I have been looking forward to experiencing for quite some time. Now this is no ordinary food truck. 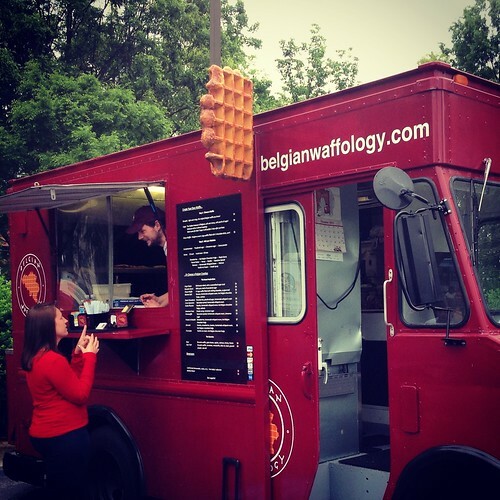 This is the Triangle’s very own waffle truck called Belgian Waffology. 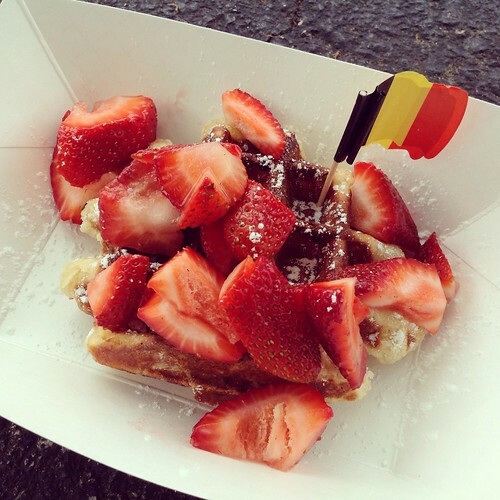 It is operated by owner François Kerckhof of Belgium and features both sweet and savory Belgian waffles! 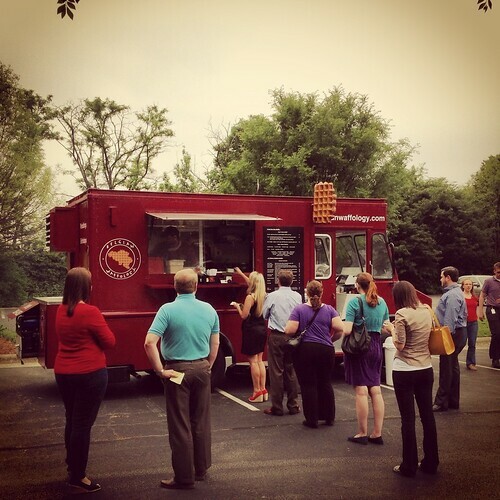 If the crowd around this truck last week is any indication, I’d say it is a huge hit! Now, a little about the waffles. Liege waffles are waffles made from a dough containing pearl sugar. This waffle is thicker, heavier and chewy. Brussels waffles are what most people think of when they think of a Belgian waffle. They are made from a batter and are typically light, crusty, golden and rectangular. Toppings offered for both range from fresh strawberries and homemade whipped cream to nutella, bananas, cinnamon, and honey. There are also savory options like goat cheese, walnuts, apples, tomatoes and mozzarella. I am a huge fan of liege waffles so I tried one of those with fresh strawberries. I loved the crispy outside and chewy inside. Absolutely perfect. 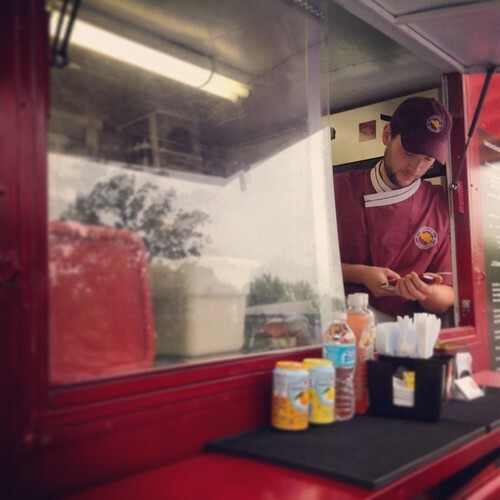 Francois and his crew make all the waffles from scratch on the truck using waffle irons from Belgium. A plain waffle (a treat in itself) runs $4. Prices range up to $8 depending on the various sweet and savory topping combos. You can also grab a drink to wash the waffle down including coffee roasted right here in the Triangle from Carrboro Coffee. To keep tabs on where the waffle truck will be next (the truck’s name is “Freddy” by the way) check out the schedule on belgianwaffology.com. You can also follow the truck on twitter to get updates on their daily location. If you plan to be in town the Memorial Day weekend you can find the waffle truck at Deep River Brewery in Clayton this Sunday 5/25 from 1-6pm. Belgian Waffles and local NC beer sounds like a great way to spend a Sunday! Holy wow, those look awesome! I need to start stalking this truck. Thanks for the review!